A small step that ignited a silent revolution. A husband's effort to understand the concerns of his newly-wedded wife sparked off a revolution. The recent Akshay Kumar-starrer 'Pad Man' highlights the story of this revolution and has kick-started the awareness drive and a discourse on menstrual hygiene in the country once again. Inspired from the story of original Padman Arunachalam Muruganantham, the inventor of low-cost sanitary pad-making machine; the film speaks about his journey in innovating grassroots mechanisms for generating awareness about traditional unhygienic practices around menstruation in rural India. A school dropout, Muruganantham started experimenting on designs of the sanitary pads and made his wife and sisters as test subjects. Loads of hard work, coupled with trial and error finally led to making of an easy-to-operate low-cost machine. Cut back to the first fortnight of October 2017, in a first of its kind initiative, under the leadership of Airport Director, Aryama Sanyal, Indore Airport installed sanitary napkin vending machines in female restrooms of arrival hall and departure security hold area. With accompanying instruction in English and Hindi, a lady attendant is also positioned in the area to assist women passengers in operating the machine. "Since there is no medical shop near the airport and it is impossible to move in and out from the terminal building, we started this initiative. Each facility has the capacity to stock 25 pads and the money from these machines will be utilised to maintain the stock", said Sanyal. 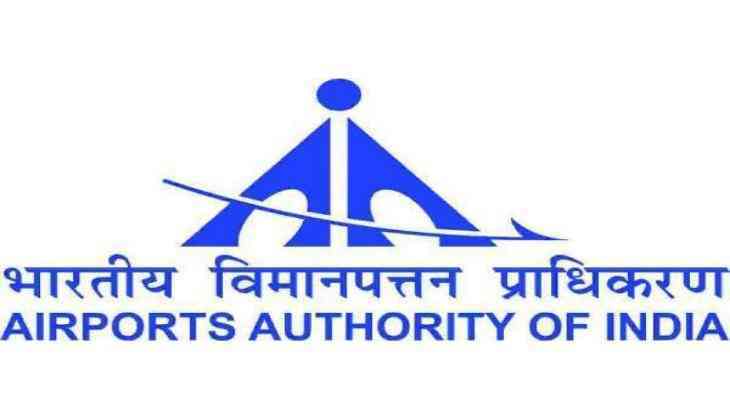 Airports Authority of India (AAI) has been committed to the responsibility of enhancing its passengers' travel experience and in providing facilities for passengers' comfort and convenience. The installation of sanitary napkin vending machines at airports realising an imminent need of better women facilitation at airports is a testimonial to the efforts taken by AAI in this direction. The ready availability of sanitary napkins at affordable prices inside the airport terminal buildings will promote hygienic practices and will also help address the deep rooted stigma attached to menstruation. Following suit, other AAI airports like Kolkata, Jaipur, Bhubaneswar, Port Blair, Trivandrum, Mangalore, Tirupati, Vishakhapatnam, Vadodara, Aurangabad, Rajkot, Pune, Guwahati, Agartala, Imphal, Shimla, Varanasi and Surat have also installed sanitary napkin vending machines inside the terminal building. These machines are easy to operate and require only a coin of Re. 1, 5 or 10 for a pack of three. This initiative is widely appreciated by the women passengers travelling through various AAI airports. Soon, passengers travelling through other AAI airports will also get this facility. Few of the airports are even contemplating to provide the sanitary pads free of cost in collaboration with Non-Government Organisations (NGOs). Dr. Guruprasasd Mohapatra, Chairman, AAI, seems content with the efforts undertaken by various AAI airports in installing sanitary napkin vending machines. "Installation of sanitary napkin vending machines is a small step towards ensuring comfort for female air travellers. While we are committed to provide a safe and secure air travel, we feel it is our responsibility to address basic hygiene-related needs too," he said. India witnessed exceptional rise in domestic air travel and crossed the 100-million mark for the first time in 2017. As the passenger footfall in airports increase, duties of public service providers also need augmentation. AAI believes that this gentle step will pave way for more such passenger-friendly initiatives in future.